What you’re about to read is the result of information I received during a private dinner that took place one block away from Trump Tower. The private venue was on West 58th Street in Manhattan, New York City, where seven others and I met. It was there I met a man who shared information with me that rocked my outlook for the U.S. dollar over the next six months. In short, my research indicates Donald Trump could be planning a radical “reboot” of the U.S. dollar. Now, we don’t know it will happen by then for sure… it could happen a little bit earlier or later based on how it all unfolds… but I anticipate it could happen before this date. That’s why I’m typing this letter to you. And what you should do with your money, too. 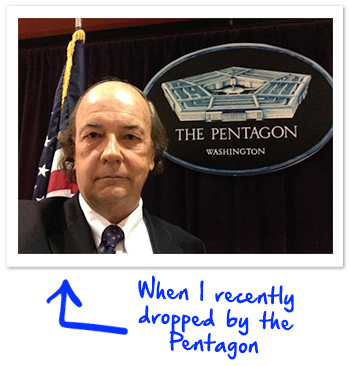 My name’s Jim Rickards, by the way. And the “reboot” event I’m about to share with you is the culmination of the deep research I’ve done in my three New York Times best-selling books and my life’s work advising the U.S. government. But based on a private dinner I just had with a man I call “Mr. Davos,” with connections to some of the world’s most important elites, I’m convinced that Donald Trump can and will get it done. If he does, I’m certain well-positioned investors could make as much as 11 times their money. It will mark a fundamental shift from the awful Obama years. In fact, investors who stay stuck in Obama-land are going to face big losses. More importantly, I believe the dollar “reboot” will happen by June 18. That’s less than 5 months from today. But as you’ll see, this could happen much sooner than that. So you’ll need to prepare now. Your life and the character of America is about to change forever. But this letter isn’t a breaking news bulletin. It’s a time-sensitive opportunity you need to act on immediately to reap the benefits. Creating a huge windfall for Americans positioned correctly ahead of time. What if I told you President Donald Trump used a similar — but much less significant — monetary deal in the 1980s to make a massive 327% windfall for himself? And turn it into more than $2 million. Or be President of the U.S. to take advantage of the windfalls that come after these monetary accords are made. Trump’s secret money deal would be a massive shift. You stand to make as much as 1,000% by the time it’s in effect. Yet, if you combine the secret with a few other simple moves, then the way you work… live… raise your family… retire… and enjoy your free time will be radically changed for the better. I’m personally using over $1,000,000 of my own wealth on these moves to position myself and my family for what’s coming. You’ve likely never heard the steps I’m going to recommend to you. Usually, only very low-key, very down-to-earth Americans who are secretly rich know about these moves. And I’ll share it all with you. I’ll show you what’s going on behind the scenes in the Trump White House… and what I recommend you do right now because of it. Who am I to know all of this? Why would Trump’s team talk to me? How could I possibly know of this possible dollar “reboot” when none of the mainstream media outlets have reported on it? I have all the “normal” credibility you’d expect from the deepest political or economic insiders in America. I’m the author of three New York Times best-selling books —Currency Wars, The Death of Money and The Road to Ruin — warning about the economic threats America faces. I have a high profile on popular financial TV, print and online media outlets. Turn on the TV and tune into CNBC, Fox, Bloomberg or Russia Today and you’ll likely see me on the channel. That alone is enough for me to speak credibly about this coming dollar “reboot” and the one investment that could soar by at least 1,000% because of it. 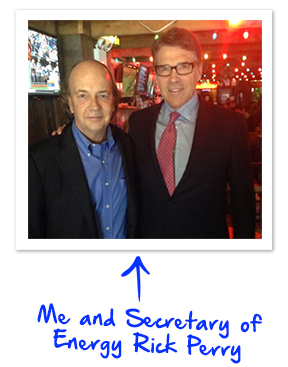 They’ve given me a top-secret national security clearance, too. And while I can’t be specific with senior military or politicians’ names or statements, I can tell you they’re preparing for something big. In one of my most high-profile missions, I helped senior U.S. military strategists at America’s Warfare Analysis Laboratory. We conducted their first-ever “financial war game” to determine threats against the U.S. dollar. 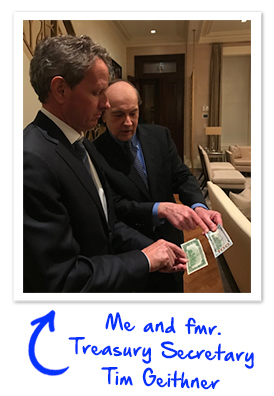 I routinely rub elbows with Federal Reserve board chairs like Ben Bernanke… five-star generals and NSA directors like Michael Hayden... finance ministers of various governments… presidents… prime ministers... Fortune 500 CEOs... and the world’s most powerful investment bankers. They ask me for my opinions on things just like this potential dollar “reboot” and tell me things they’ll never say publicly. Our firm has been sending password-protected research to a high-level cabinet member within the Trump White House for months now. He’s literally responsible for almost everything the federal government does. Ultimately my connections — like the insider who told me about Trump’s dollar “reboot” — are where I get my best information. One, and one investment alone (you’ve never heard of it, trust me) could shoot up by at least 1,000%. But I firmly believe this opportunity is your best chance at these kinds of gains. Let me show you WHY President Trump needs to reboot the dollar if America is ever going to be great again. Since 2008, many analysts and commentators have feared this chart because they believe it will lead to massive price increases in the economy — or hyperinflation. But everyday prices haven’t gone into hyperinflation. If you add the federal debt to that number, you get $97 trillion! That’s more than four times the size of the U.S. economy. In other words, if you and every single American took 100% of your annual income and tried to pay off the national debt for four years straight, we would still have $4 trillion of debt left to pay off! The problem started in 1971. That’s when Richard Nixon killed the U.S. gold standard, once and for all. You can see it happen on the chart below. 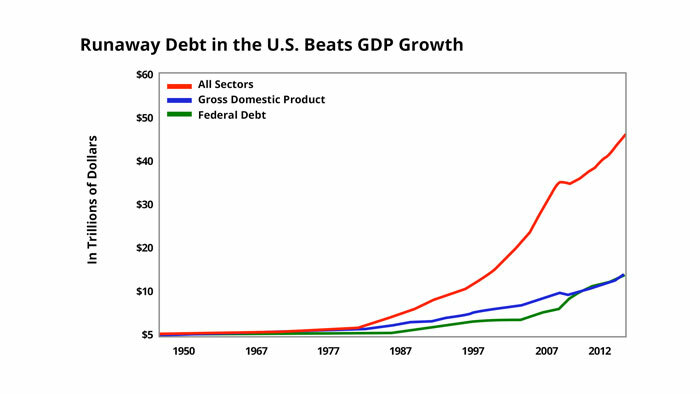 As soon as Nixon kills the gold standard in ’71… debt begins to skyrocket! From that point on, crushing debt, overconsumption, offshoring of American jobs and the ripping off of Main Street by Wall Street took hold. Obama brought our country to the brink of ruin. He added as much federal debt as all presidents before him — from George Washington to Bill Clinton — combined over the entire 220-year history of the United States! The United States used to have a dollar backed by gold. Back then, the country had far less public and private debt, compared to $80 trillion today. The government was small, and couldn’t squander your and my tax dollars. We couldn’t wage endless wars. There was barely any inflation. Our money was stable. Our economy was growing. Simply put, America was great. 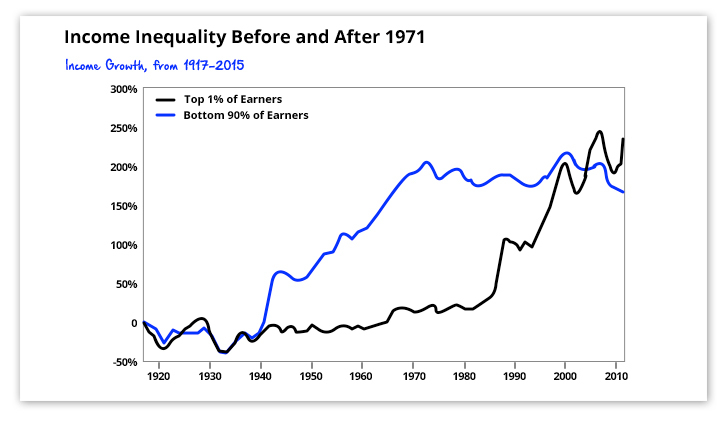 But when we went off the gold standard, hardworking Americans’ income flatlined and the uber-wealthy made all of the economic gains! 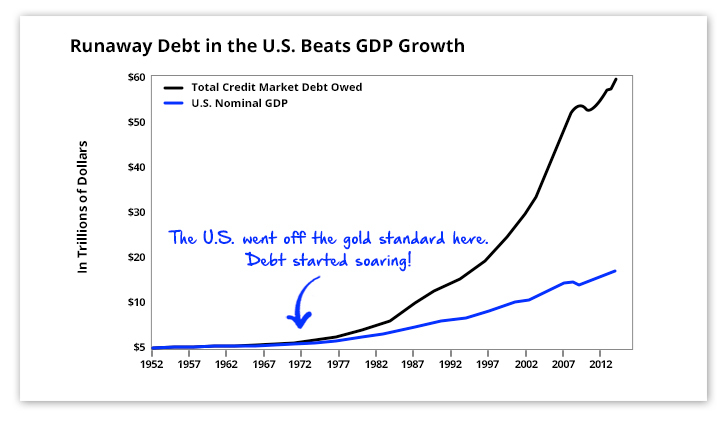 Since we’ve gotten off the gold standard, America has declined. The economy’s failed its workers and our nation isn’t respected abroad. Reagan wanted to reform the U.S. dollar with his own monetary accord to tie the greenback to gold again. Reagan even tried ordering a Congressional Commission to investigate how a modern gold standard could be set up in America. But career politicians killed Reagan’s effort right from the beginning. Yet, after a private dinner near Trump Tower with those close to the situation, I now believe Donald Trump could accomplish what Reagan couldn’t. A move that will completely rewrite America’s money rules. The U.S. dollar — and by extension, the global economy — is facing an imminent threat. Obamacare… the Obama debt… Obama’s open borders… Obama’s retreat from the world stage… has all but killed what made America great. Obama put the interests of America’s retirees… U.S. workers… veterans… and everyone else who used to make up our Middle Class behind the elites. He helped the big banks… international corporations… and even foreign leaders at the expense of you and me! That’s why Donald Trump was elected. Voters knew we couldn’t take another four years of Obama if Hillary Clinton won. Because now President Trump can take steps to avoid disaster. But he needs to act quickly. Picture yourself in a room of 500 people listening to a speech. Now, imagine four people stood up and immediately ran out of the room very fast. You would think they needed the bathroom or got an urgent call or something. But you would probably stay seated. Now, imagine the same scenario — except that instead of four people, 100 people suddenly get up and run out of the room as fast as they can, all at once. I dare say you’d get up and exit the room right behind them! You’d figure there was a fire or imminent danger that they knew about and you didn’t. But you wouldn’t stick around to find out. You’d run for the exits as fast as possible and ask questions later! The death of the dollar will be no different. The United Kingdom ($18.7 Billion Betrayal): Joined China’s Foreign Exchange Trade System to bypass the U.S. dollar and trade directly in sterling and yuan. China ($100 Billion Attack): The Chinese official sector sold almost $100 billion of U.S. stocks over the past year. They've been reducing their Treasury holdings. And they've secretly been stockpiling hundreds of tons of high-purity gold bullion bars. Iran ($1.2 Billion Attack): Has used gold to avoid U.S. sanctions and the dollar-based payments system called SWIFT. South Africa ($2.5 Billion Attack): Has joined with the BRICS nations to create a bank that will extend at least $2.5 billion so far in 2017 in non-dollar credit to the world. Hong Kong Monetary Authority and South Korea ($83 Billion Betrayal): Both have joined and expanded their roles in the CMI, or Chiang Mai Initiative, which is a non-dollar currency swap agreement with the 10 countries that comprise the ASEAN nations, including Indonesia, Cambodia, Brunei, Laos, Malaysia, Myanmar, the Philippines, Singapore, Thailand and Vietnam. India ($8.2 Billion Betrayal): Has made agreements with Japan to receive yen for internal development projects, instead of turning to U.S. development institutions like the World Bank for dollars or going to the U.S. government itself. Sweden, Norway and Denmark ($2.5 Billion Betrayal): Created a euro currency-beeline to Iceland that doesn’t require dollars. South Korea ($20 Billion Betrayal): Has created bilateral currency swap agreements with Australia, China, Malaysia and Indonesia that last until 2020. They’ve renewed a multibillion won-yen currency swap with Japan. And they’re also actively trying to forge a direct currency swap deal with the United Arab Emirates. Saudi Arabia ($750 Billion Attack): Threatening to take a $750 billion prop out from under the U.S. dollar if America doesn’t meet its demands. And the list of dollar backstabbers you just read isn’t exhaustive. The true amount of dollar dumping is likely much higher than that. Can America ever be “Great Again” if the entire world is avoiding the dollar like the black plague? From the year 1450 to roughly 1925, from Portugal to the British Empire, the world’s superpowers have risen and fallen on the strength and acceptance of their currencies. Based on centuries of data analyzed by the president of world markets at a multibillion-dollar bank, the average lifespan for a world reserve currency like the U.S. dollar is a little bit more than 90 years. 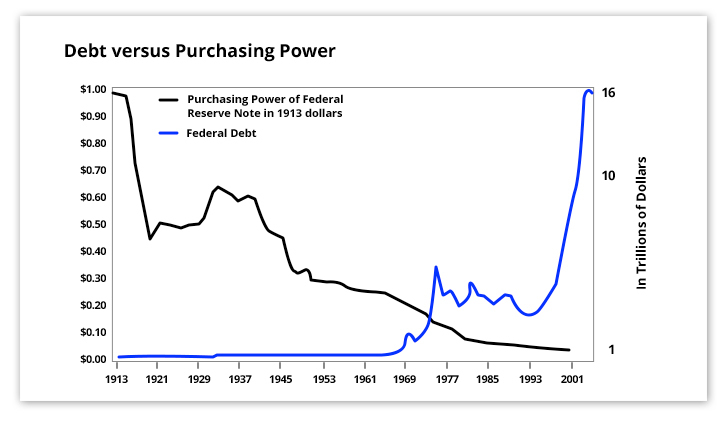 And get this: The dollar has been the world reserve’s currency for 91 years! The clock is ticking and Donald Trump knows it. He knows he needs to restore confidence in America and the U.S. dollar immediately. That’s why he needs to “reboot” the dollar ASAP. And I’ve received an important data point recently — at a private dinner with a man that absolutely no one has ever heard of — that this is in motion. But it’s not just the “de-dollarization” of the world that’s making this so urgent. You see, countries have not only stopped buying U.S. Treasuries… but they're selling them at a record clip. “It's a sad day when a large property owner starts accepting gold instead of the dollar. The economy is bad, and Obama's not protecting the dollar at all... If I do this, other people are going to start doing it, and maybe we'll see some changes." Trump understands what’s at stake. Sooner than later, a critical mass of foreign governments and investors will start exiting the dollar. It will be the point where everyone stampedes out of the crowded room, to continue my earlier analogy. At that point, the full faith and credit of the U.S. government will evaporate. People will not have trust in the financial system. 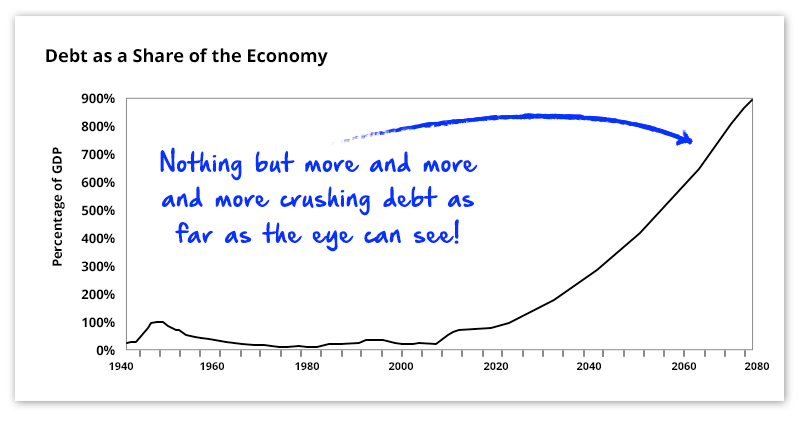 Our international monetary system built on the dollar, the “money multiplier” and debt will collapse. I’m confident there is a fix, though. The key will be a bold new monetary policy by the Trump administration. The Wall Street Journal published an article confirming this, saying Trump’s real challenge will be the U.S. money system itself. A total reboot of the U.S. dollar. And send one unique investment soaring. Every dollar you choose to invest in it could increase as much as 11-fold. I believe President Trump will host an international monetary summit at his “Winter White House” in Florida, the historic Mar-a-Lago resort. 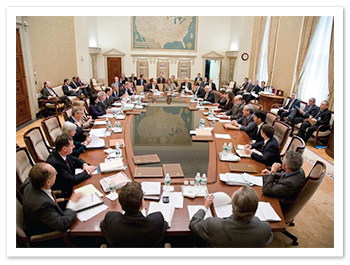 The Federal Reserve board will then call a special board meeting… vote on the new policy… walk outside and announce to the world that effective immediately, the price of gold is $10,000 per ounce. The Fed will make the $10,000 price stick by using the Treasury’s gold in Fort Knox and the major U.S. bank gold dealers to conduct “open market operations” in gold. The Federal Reserve will be a gold buyer if the price hits $9,950 per ounce or less and a gold seller if the price hits $10,050 per ounce or higher. The world’s other central banks will agree to the same. For mathematical reasons I’ll explain in just a second, gold will need to be $10,000. No more, no less. This will immediately put an end to the currency wars and the debt-based dollar system. It will be a one-time “reboot” period that will put the world on solid footing for economic growth for decades to come. The immediate adjustment would create a massive windfall for gold bullion holders and owners of gold mining shares (though that’s not the true opportunity here). It would also create a lot of market volatility as people react to the announcement. Now, I write and speak about $10,000 gold all of the time. I wrote a New York Times best-seller on the topic. Most people just roll their eyes. They assume that $10,000 per ounce is a made-up number, or that I pulled it out of thin air, or I’m just trying to get attention. The $10,000 per ounce number is actually the result of some straightforward mathematics that I’ll show you in just a minute. In fact, according to a recent report by the Official Monetary and Financial Institutions Forum, world central banks have been buying gold at a rate of 385 tons per year since the 2008 crisis. And the more gold they own, the more leverage they'll have when Trump calls the world’s financial powers together to reform the monetary system at his Mar-a-Lago resort. 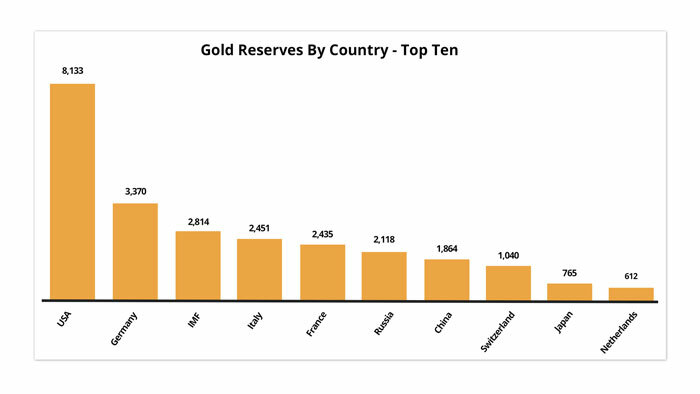 The good news is the United States and our negotiator, Donald Trump, has the largest gold stash out of any country. Even better, according to a recent Gallup Poll, more than twice as many Americans supported returning to gold as money as those who didn’t. I bet if you took an update poll again today, given the enthusiasm around Trump, you’d get an even better response. Simply put, there’s no stopping this dollar reboot. Its time has come. 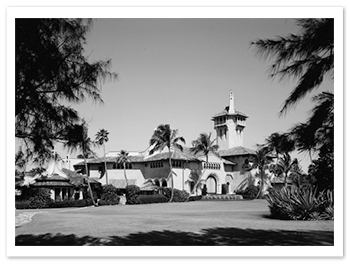 The “Mar-a-Lago Monetary Accord” will be a turning point in American history. And it could be a turning point for you financially as you reap up to 1,000% from the dollar reboot investment I’ll tell you about in just a minute. And they “reboot” the rules of the monetary game to stabilize the system and get the world back to economic growth. The Genoa Accord, May 1922: 34 nations gathered at the Palazzo di San Giorgio in Italy to “reboot” what was called the gold exchange standard and restore the international monetary system. The Threadneedle Street Accord, 1931: With gold flowing out of the UK, loans from New York and Paris exhausted and a budget crisis underway, the Bank of England decided to abandon the gold standard and devalue the sterling. This “rebooted” the economy and stopped the crisis. The White House Accord, 1933: Franklin Roosevelt unilaterally creates a two-step plan to try and “reboot” the U.S. economy out of the great depression. First he confiscated the nation’s private gold holdings. Then, he ordered a 60% devaluation of the dollar — moving the price of gold from $20.67 to $35 per ounce. The Bretton Woods Accord, July 22, 1944: 44 countries and 730 people gathered in New Hampshire to “reboot” the post-WWII monetary system. The dollar was tied to gold at $35 per ounce. And the rest of the world’s currency was tied to the dollar and convertible into gold. The Smithsonian Accord of December 1971: The “Group of 11” — U.S., UK, Japan, Canada, France, West Germany, Belgium, Netherlands, Italy, Sweden and Switzerland — agreed to “reboot” the dollar by devaluing it by 8%. The Jeddah Accord in July, 1974: The U.S. was facing an oil crisis… runaway inflation… a crashing stock market and recession. Nixon sent Henry Kissinger and William Simon to Saudi Arabia and rebooted the dollar by creating the “Petrodollar Deal.” This priced oil solely in U.S. dollars in exchange for defending the Saudi royal family with U.S. military might. Since everyone needs oil, everyone needed dollars so they could buy it. 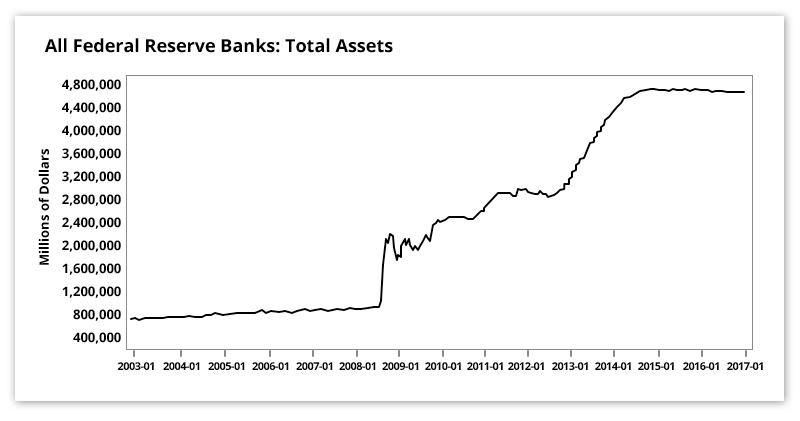 This massive new demand for dollars saved the American financial system. The Plaza Accord , September 22, 1985: Signed at the Plaza Hotel. There, the top financial officials from the United States agreed with the UK, West Germany, France and Japan to reboot the dollar to a lower value to help the world economy. The Louvre Accord, February 22, 1987: After the Plaza Accord didn’t work out so well, a new accord was signed at the Louvre Museum in Paris to correct the mistakes. The damage was so bad from the Plaza Accord that the group agreed to reboot the dollar once again and halt the dollar’s devaluation. The Shanghai Accord on February 27, 2016: I was one of the leading researchers trying to sound the alarm on this accord. This was a failed Obama policy. His idea was to purposely weaken the dollar in order to help China from collapsing, because China’s currency is pegged to the dollar. It hasn’t helped the U.S. economy at all. In fact, it’s put it at risk. The period that followed the Louvre monetary accord in the late 1980s was called the “King Dollar” period. There was massive economic growth and the United States was the sole superpower — respected around the world. But today that old deal is stagnating. That’s the reason we need a new dollar reboot. This is the key to Trump restoring confidence in America and the dollar by instituting a new gold-backed dollar at $10,000 per ounce. And even better, it could send one specific investment (not gold) soaring. And make you 11 times your money if it does. That’s why I’ve prepared a new strategy to help you reap tens of thousands of dollars in profit from this new Trump Accord that could be coming. You’re going to want to read it immediately and take action. Why would the Federal Reserve or big banks in America ever allow Trump to institute a gold backing to the dollar? And normally, I’d agree with you. Actually, June 18, 2019, could end up being a conservative date. President Trump could flip the switch on this dollar “reboot” much sooner than anyone expects. Of course, I can’t tell you all of these things will happen by June 18th for certain. President Trump’s opinion could change or he could alter his plans. But that’s why it pays to get positioned for this right now; otherwise the opportunity might pass you by. That’s because the stars have aligned in a very special way. So far, President Trump has appointed three Republican governors to the board. That is the most Federal Reserve seat appointments at one time by any president since Woodrow Wilson in 1914 when he first created the Federal Reserve. Besides appointing Republican governor Jay Powell as chairman, he has also nominated two other Republicans to fill the remaining two vacancies. This means Trump could be able to appoint five governors in the coming months, including a chair and two vice chairs. Conservatives hold a majority on the Supreme Court, too. He can conduct a full “audit” of what the Fed does… who makes the decisions there… and steer it to do what he wants. But now it won’t be hard and he can do just that. And a third to create a monetary commission to research the exact monetary changes the Mar-a-Lago Accord would institute. The coming weeks will mark one of the most significant transformations in the international monetary system in over 30 years. Since the dollar is still the lynchpin of this system, the dollar itself will be affected. Whatever affects the dollar affects you, your portfolio and your personal financial security. The ONLY gold price that will work for Donald Trump’s Mar-a-Lago Accord as I see it is $10,000 per ounce. This is NOT a made-up number. If they choose more than $10,000 per ounce, we’ll have severe inflation. And it can ensure you up to quadruple-digit gains if I’m right. ($26.5 trillion x 40%) ÷ 1 billion oz. of gold = $10,000 per ounce. It starts with what’s called the “global M1 money supply” — that’s the total amount of money around the world. I believe it will roughly be $26.5 trillion by the time this happens. Then, I use a 40% gold backing for our money, since that’s what the original Federal Reserve Act passed by Congress mandated. Take global M1 money supply and multiply it by 40%, our gold backing. Then take that number, and divide it by the official amount of gold in the world, which is about 33,245 tons or roughly 1 billion ounces of gold. In the end, you’ll get about $10,000 an ounce. Now, if the numbers I used fluctuate, that exact $10,000 per ounce may vary slightly. To go from today’s price of about $1,300 to $10,000 in 15 minutes would be a 669% revaluation of the dollar. I’ll admit it’s radical... but we need a radical change. That would still mean that gold would go from under $1,300 today to $5,000 per ounce. Then, it could do a second reboot from $5,000 to $10,000 per ounce. The most important thing is to expect it to happen. 1) You’re going to want one really specific investment (not gold bullion) for the chance to make at least 1,000% from this shift. But you won’t be able to get it at that point. 2) You’re ALSO going to want to own physical gold. But again, if you wait, you won’t be able to get the gold at any price. And you know what the dealer is going to say? It’s already common for U.S. Silver Eagles to be sold out and on backorder even in relatively calm economic times. Either way, you’re not going to be able to get your gold or silver when you need it most. Get it now, while you can, at a good entry point. *** DO NOT PUT 100% OF YOUR WEALTH INTO GOLD. I need to emphasize that because people often misunderstand me and think I recommend putting everything you own in gold. Instead I recommend you take five very simple steps immediately to prepare for this massive monetary shift that’s coming. Don’t get me wrong, I support a dollar reboot by President Trump. But we need to be honest with ourselves. Just because we may agree with President Trump’s move… doesn’t mean that it will happen with 100% certainty or that the transition will be smooth. Or once Wall Street gets to react to the fact that the debt party is over. That’s why the steps I’ve outlined will protect and grow your wealth. These are steps I’m personally taking with more than $1,000,000 of my own money to prepare for this massive dollar reboot. I may be the only person who you’ll hear about this from. I call it the “Dollar Reboot Composite” because it’s the perfect play for this new monetary event. This little-known investment is not a coin or bar of gold, silver, platinum or palladium. But it IS a physical precious metal investment. It’s not a stock, bond, option, ETF, miner, currency or anything else you’ve ever heard of. If you try to find it on Google Finance or Yahoo Finance, you won’t. You CANNOT buy it in your brokerage account. And your local bullion dealer WILL NOT know about it either. And yet it’s extremely easy to buy. And it gives you a shot at outperforming gold, silver, platinum and palladium with LESS volatility. This might be one of my favorite recommendations. If you read my gold math above closely, you know that the “Mar-a-Lago Accord” would send the price of physical gold up as much as 700% automatically. But since this little-known “Dollar Reboot Composite” investment outperforms gold, I have strong reason to believe it would rise to at least 1,000% under the scenario I’ve outlined for you. 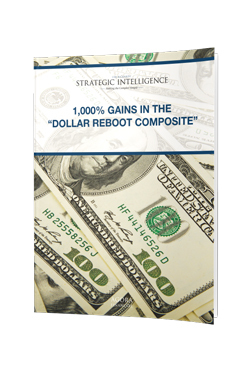 That’s why I’ve created a complete guide to the coming dollar reboot and this “Dollar Reboot Composite.” The guide’s called 1,000% Gains in the “Dollar Reboot Composite.” It’s yours free when you claim it today. Donald Trump himself owns hundreds of ounces worth of physical gold. So does Trump’s budget chief — along with nearly $1 million in gold investments. But it pains me to see everyday Americans make simple mistakes when buying gold... or get suckered into buying collectible gold coins. But the truth is, you need to know much more information than this to successfully buy physical gold. For example, how do you calculate your investable assets? Do you count your house? And who do you buy these coins and bars from? How do you make sure you’re paying the lowest commissions? And where do you store them? There are a lot of questions to answer when buying physical gold — and it’s important you get it right. It gives you a road map for buying physical gold no matter if you’re investing $10,000 or $1,000,000. Keep in mind I’m not selling you gold. These are just my recommended parameters for buying and managing physical gold. On one line item, he has a $100,000-$250,000 asset that, though a drop in the bucket compared to his billions in net worth, says a lot about what Donald Trump believes could happen in the economy. And end up being his best performing asset in 2017, because he didn’t need to sell before taking the oath of office. Once I saw both of Trump’s assets, it reminded me of a two-centuries-old investment strategy that has its roots in Germany — where Trump’s grandfather, Friedrich Trump was from. I dug up the background to this investment strategy and it did, in fact, reflect Donald Trump’s own strategy. It’s the strategy of a prominent industrialist and investor with diverse holdings in Germany and abroad during the 1920s. Few people if any know his name or story. In many ways, he played a role in Germany similar to the role that Donald Trump or Warren Buffett have played in the U.S. He was an ultra-wealthy investor whose opinion was eagerly sought on important political matters, who exercised powerful behind-the-scenes influence and who seemed to make all the right moves when it came to playing markets. He was known as the “Inflation King” because he was able to protect and grow his wealth despite Germany’s massive hyperinflation in the 1920s. I believe you need to know his strategy by heart and apply it to your own finances. I’ve detailed everything about him… and how Donald Trump, Warren Buffett and others have used a similar strategy to build their own wealth and what it means for your portfolio. 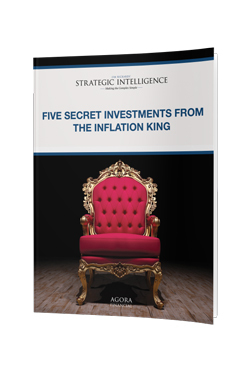 It’s all in another special report called: Five Secret Investments from the Inflation King. I’ll send it to you free when I hear from you today. You see, I’ve uncovered and developed a brand-new gold investment opportunity just for Americans like you. It also has nothing to do with owning physical gold. Or tiny penny-stock junior gold miners for that matter. And it’s not an ETF. 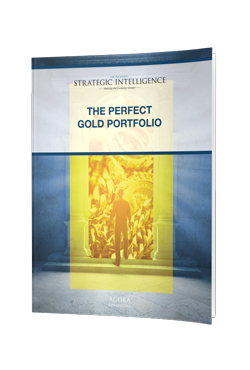 Instead it’s something totally proprietary, tailored to my exact specifications to make the perfect gold speculation. 3) At least $100 to invest. Of course, we’re not brokers or selling you any investment. This is all informational. You’ll get all of the steps you need to do this on your own within just minutes. If you try Googling it, you’ll never find it. And yet, it could offer you at least twice the return physical gold will give you in a gold bull market. That means if gold rises by 669% like I showed you it would before… this investment would rise 1,338%! And that’s WITHOUT any storage risk… or spending anywhere near the price you’d have to pay for even an ounce of gold at today's prices. I’d also like you send you a hardback copy of my best-selling book, The New Case for Gold. I explain why storing your gold at home could be a huge mistake. You don’t want to trust banks or storage units either. The safest option for regular gold holders is the one I name on page 154. I've poured years of research into writing The New Case for Gold. I’ve also included a special bonus chapter for you that the general public will never see. 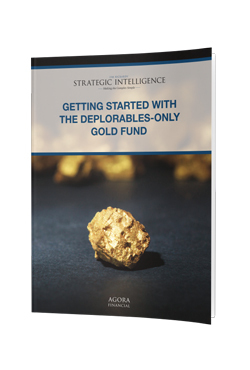 It includes five specific gold stock recommendations that won’t just protect your wealth… but grow it when the great gold hoax is exposed. There’s much more than that, of course. And if you carefully read and mark up the copy I’ll send you, it will be like you're reading the most confidential plans of the world’s most powerful man... way before they ever go into effect. Again, the book is yours free when I hear from you. I’ve put a lot of work into all of this information for you. I’d like to invite you to an exclusive live intelligence session on April 9, 2019. It’s online… so you don’t need to deal with the hassle of planning travel or boarding a plane. There are no expensive hotel rooms to book. Instead, I’ll send you a private link to access the event online. At the event, I will update you on an important topic happening in real time that could impact your wealth. I’ll reveal information that many in the mainstream media miss that will give you an advantage as an investor during these volatile times. It’s like having your own personal briefing from the contacts I have in the intelligence community. Please, just keep in mind I can’t give personalized investment advice. But I'll tell you about any developments that will keep you prepared in case of an emergency. But today you have the chance to join me in this live event… all free. You see, as Chief Global Macro Strategist at Agora Financial — an independent forecasting firm based in Baltimore — I produce the world’s premier financial research service. My work takes me across the globe and allows me to leverage my network of high-profile contacts in Wall Street, the intelligence community and the highest levels of government. Those venues don’t allow me to share my most sensitive moneymaking moves. Or he’s foiled by all the career politicians and other “swamp creatures” in Washington, D.C., in which case, you’re going need a financial and personal backup plan. Things are volatile. The market will change very quickly… so it’s best you have the latest information in any event. I've been looking for a venue where I could help my readers on an ongoing basis as this critical moment in history unfolds, recommending where to invest and how to avoid the pitfalls. 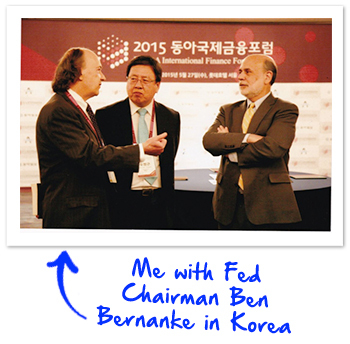 That’s why I decided to launch Jim Rickards’ Strategic Intelligence. My mission in this letter is to help people prepare for financial threats and capitalize on financial opportunities. And to learn from my decades of building back up a financial fortune of my own. And give you specific investment recommendations and wealth-protection strategies that will help you grow your wealth even during the meltdown. Until recently, I have only provided this kind of service to my high-net-worth clients and members of the U.S. intelligence community. But with Rickards’ Strategic Intelligence, you too will have the opportunity to hear my best ideas on an ongoing basis. And it’s important to note, this will be the exclusive place to receive my monthly issues and alerts. This newsletter will not be available anywhere else in the world, at any price. I strongly suggest you claim the free reports I told you about above. Because, there isn’t much time left to prepare for Trump’s dollar reboot. It could come sooner than I’ve outlined for you today. All it would take is another resignation from a Federal Reserve board member to speed up this timeline. And we’ve already gotten one surprise resignation this year already. Now’s the time. I sincerely hope you’ll join me. Click the “Claim Now” button below to go to your claim form — where you’ll be able to read and review everything that comes with your subscription today. 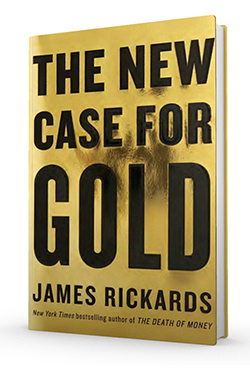 …Plus a hardback copy of my best-selling book, The New Case for Gold, sent directly to your doorstep. I want to put it in your hands as quickly as humanly possible when I hear from you today. 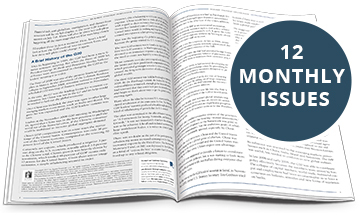 Then, each month, I’ll also send you the members-only Jim Rickards’ Strategic Intelligence newsletter, along with updates and actionable investment recommendations. You’ll get the first word from me on the research I gather from all of my contacts in intelligence, government and finance, and urgent news and updates on the special reports... the monthly plays... and protection strategies. FREE Monthly Intelligence Briefing Webinars: Just like the briefing I’m inviting you to on October 17, I hold these interactive briefings every month. Keep in mind, I can’t give personalized investment advice on the calls… but I can and do answer your questions about what’s about to happen in the markets and the economy. How much does this strategic intelligence cost you? 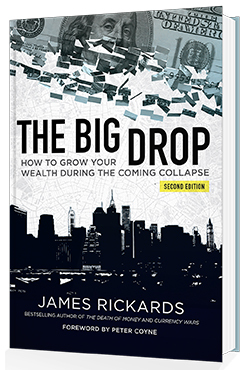 The published price of a one-year membership to Rickards’ Strategic Intelligence would run you $100 per year. We publish our findings in over eight countries and in four different languages. Other readers might point to monetary gains and portfolio diversification, but in my case the most valuable and appreciated gift I have drawn from your recommendations and letters is peace of mind and a better sleep. After 2008 I felt like I was walking through a haunted house for the first time, trying to brace for every turn, in an attempt to suppress the jolt of surprise. You remember… that naked ominous feeling that you know if inevitable but you can’t do anything to stop. I would put my head on my pillow every evening feeling that way, wondering if I was going to wake up and have to start from zero again. I now feel more secure financially as a provider for my family. That one is the greatest gift one man can give another in my honest opinion. I have yet to find any other financial publication that speaks the truth like this. I have found politics is having a greater effect on investments than economics… now I benefit from that knowledge. 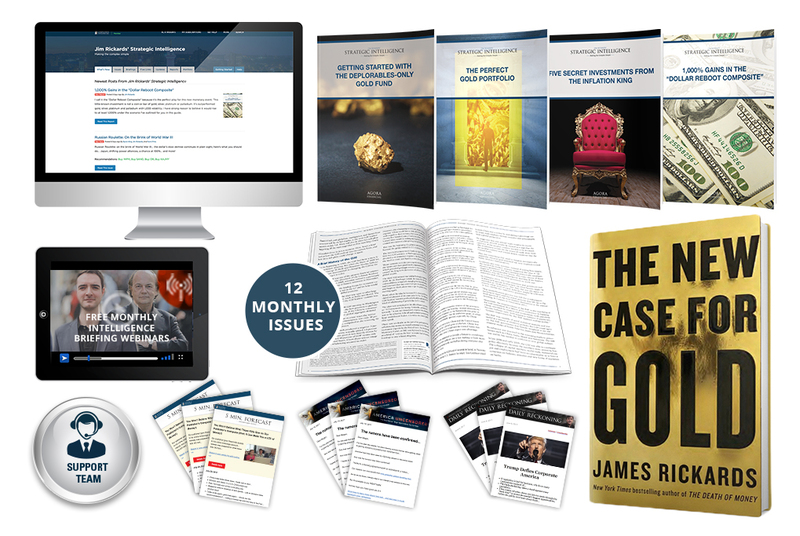 Collectively, we spend $3 million annually to publish the boldest forecasts and information about the international monetary system… government policies… and steps you can take to protect and grow your wealth. Yet, despite the time and money we put into this project, we’re able to keep the annual price to an amazing rate of just $100 using the internet and new publishing technology. But for a short time, you can access my research advisory for just half the price of the usual rate. You'll pay only $49 for one year. How can I manage to give my analysis and proprietary strategies for so little? I’ve made my money during my career and have retired. Through my best-selling books… and speeches and TV interviews... I’ve tried to warn Americans and — god willing — convince enough people to change the nation’s course. But recently, I realized that the progress I was making was too slow. I needed to bring my strategies and continuing analysis straight to everyday Americans like you. If you think I’m feeding you a load of bologna — here’s what I’ll do to prove to you I’m not. Today, I’ll let you take a risk-free test drive of Rickards’ Strategic Intelligence for the next 365 days — a full year. 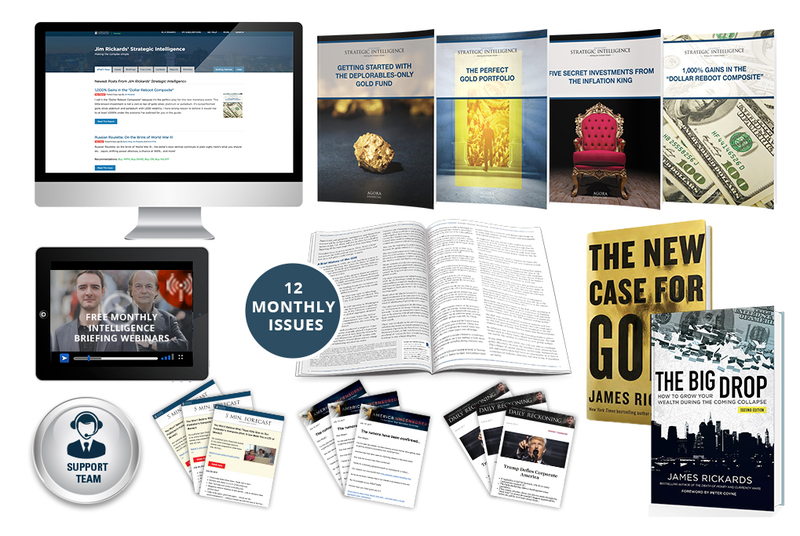 You can read every piece of strategic intelligence I’ve published… my monthly issues… my free reports… my live intelligence briefings and more. That way you’ll see if my strategies, research and opportunities to grow your wealth are the real deal. Essentially, I want to take as much risk as possible away from you in order to get my research advisory service in as many Americans’ hands as possible. If you decide for any reason my work is not right for you, just let me know and you can receive a full refund... and keep everything you've received so far. To be clear, I’d only like you to agree to TRY Rickards’ Strategic Intelligence today with no strings attached. When you do, I’ll sweeten the pot by adding a hardback copy of my book, The Big Drop. But only if you take advantage of my offer right here and now. How to (almost) instantly judge the safety of your bank. Plus, a comparison of local community banks, mega-banks, and credit unions (if you keep any cash at all in your bank account, please read this). The financial warfare plan that could bring the United States to its knees (the real story is how it affects you and your savings if you own any traditional investments like stocks & bonds). What you should know about Warren Buffett and how he seems to be betting against the dollar, even though, his company Berkshire Hathaway holds over $50 Billion in cash. He seems like the all American success story who is rooting for US stocks, but what he is actually investing in tells a different story. What you must know about the risks of holding a large portfolio of stocks (Stocks could drop by 3,000 points or even more and recommends you do this to protect yourself). We do not sell this book through Amazon or through any brick-and-mortar bookstore. This is the ONLY place I distribute this rare and valuable book. Consider it my token of appreciation for being a concerned American that’s ready to take steps to protect yourself… and set an example for your neighbors. I take what President Trump says and the challenge he faces in correcting the course of the American economy seriously. I hope you’ll treat my offer today just as seriously. I’ve given you all of the evidence. I’ve done all of the legwork and research for you to have the chance to generate as much as 1,000% when this monetary shift takes place. And I’ve tried to deliver as much value as possible while making my offer as “risk-free” as possible for you. Everything to grow and protect your savings, investments and future as Donald Trump forges ahead with the “Mar-a-Lago Monetary Accord” to Make America Great Again is just a click away. Will you make the wise choice? Click the “Join Now” button below to get started.